Jul. 1, 2013 - By: Pure Aqua , Inc. 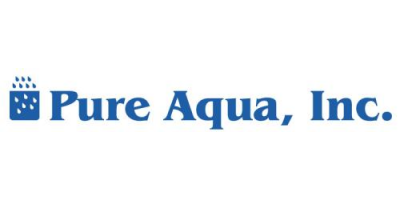 In July 2013, Pure Aqua, Inc. designed and manufactured a commercial BWRO unit to a major company in Iraq to lower chlorine, TDS, and odor from well water. The system included multimedia and activated carbon filters to remove particulates, odor, color and taste, and twin alternating water softener to lower the hardness within the system from fouling. The unit was designed to produce 7,500 GPD at a feed water TDS of a maximum 1,500 ppm, it was selected from our RO-200 series and came complete with a microprocessor control panel. Since the initial startup, the unit has been operating accordingly with minimal troubleshooting. A Commercial BWRO Package is created and executed to take out impurities in water to make it more suitable for usage and consumption. This assembly requires a process in order to make the water up to the desired standard. First, the water will go through a multimedia filter which is responsible for reducing turbidity and suspended solids by using particles of sand or gravel, in order to trap larger impurities. The next step is for the water to go through the activated carbon filters. These filters use charcoal that is treated with oxygen in order to put small holes in the carbon bonds to let water through but catch unwanted impurities. In a way the carbon acts like a semipermeable wall, allowing some things through but keeping larger particles out. Next it goes to the chemical dosing system where further particles are reduced in preparation for the reverse osmosis. 'Osmosis' is water’s natural desire to move toward higher salinity concentration. What this commercial BWRO package does is reverse that natural occurrence by applying more pressure than needed for osmosis and forcing water from higher salinity concentration to lower salinity concentration. As the water is moving toward lower salinity concentration it is going to pass through a semipermeable membrane. This membrane is not solid like a wall however is not open like a door either. It only allows small water molecules through while keeping back salts and impurities. The salts and impurities are later discarded, leaving water pure and usable. No comments were found for Commercial BWRO Package, Iraq. Be the first to comment!